Great Ballard Children enjoy an afternoon of intergenerational fun. 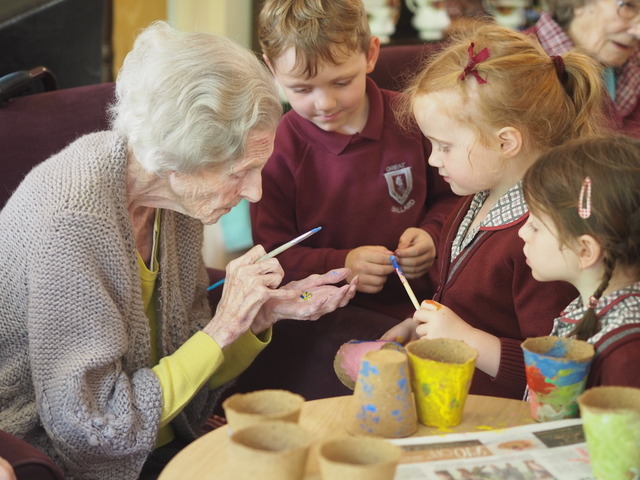 Painting pots and planting sunflower seeds made for an afternoon of fun for the nursery children of Great Ballard School and residents of a local nursing home. 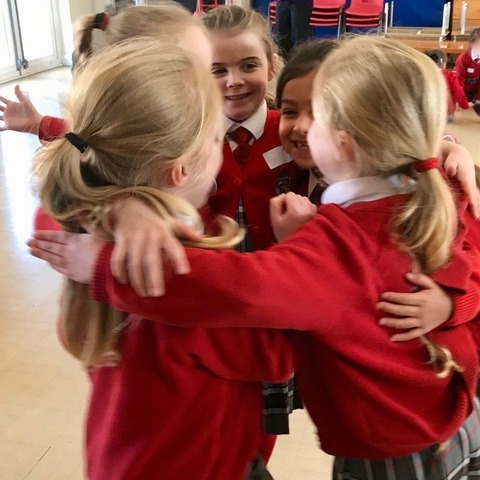 The two generations spent time together in the sunshine and enjoyed giggles, juice and cake before saying goodbye at the end of an afternoon of activities. 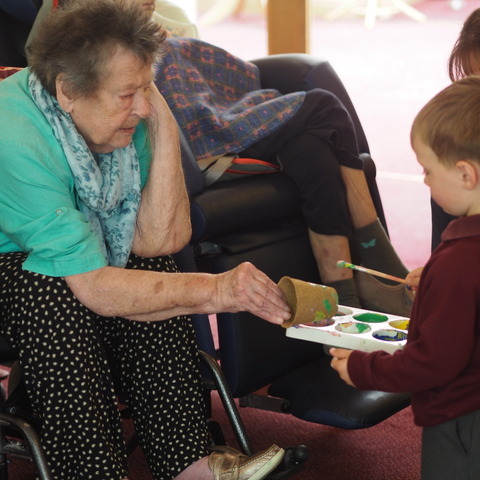 The nursery children of Great Ballard School and the residents of Claremont Lodge Nursing Home have enjoyed spending time together many times in the past and the intergenerational experience has a great impact on the children and on the residents of Claremont Lodge. The children waved goodbye to their friends and returned to school having put lots of smiles on lots on faces. 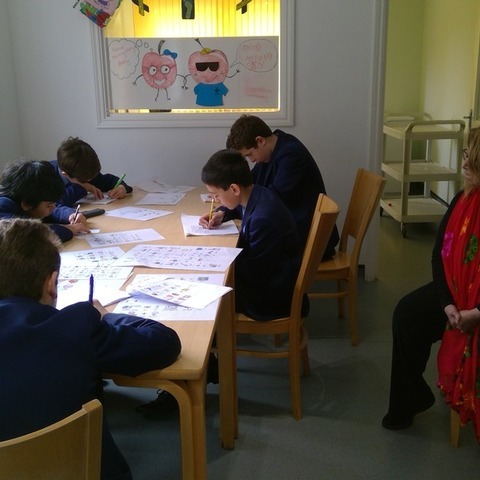 Great Ballard is an independent day and boarding school for boys and girls aged 2 to 13. It is situated in the magnificent Eartham House set in idyllic parkland just 10 minutes from Chichester. 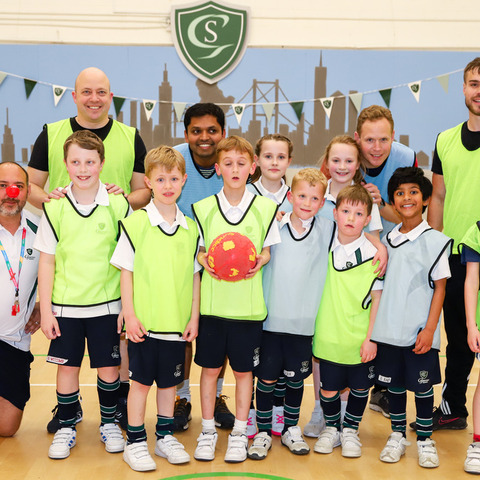 Our children enjoy a vibrant and genuinely all round education that is exciting, challenging and stimulating. 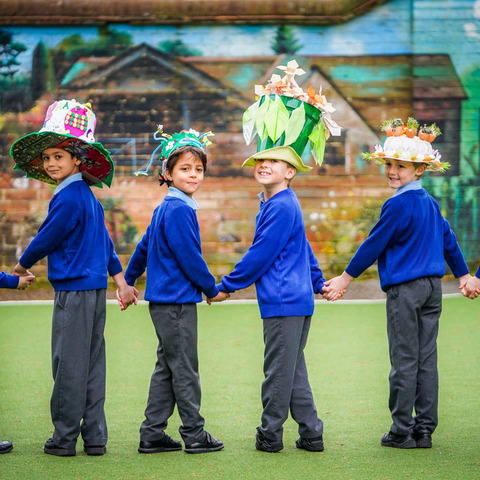 Academic study is central to what we do and we expect all our pupils to adopt a healthy work ethic, but we also believe that to truly educate we must celebrate the creative, physical, and spiritual, as much as the intellectual. Our aim is to nurture happy, accomplished, and well rounded children. We value self confidence, but not arrogance, and applaud gentleness and humility. We appreciate unaffected good manners and embrace traditional values. We respect individuality and recognise success, but most essentially quality of character is regarded equally as highly as achievement. 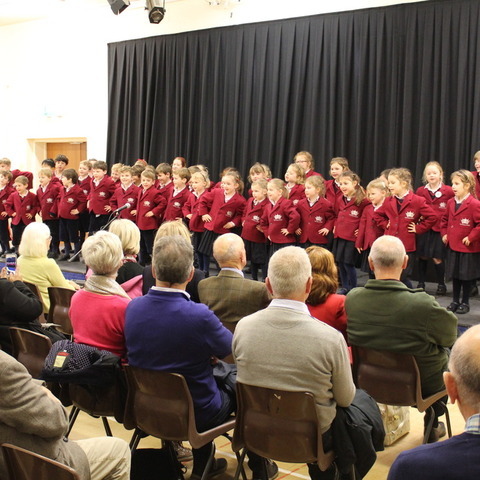 We understand that parents have a choice of a number of independent schools in West Sussex, and each is unique. How do you know if Great Ballard is right for you? We think the only way to assess what we're all about is to come and see us. We are confident you will be able to appreciate how much we care about each and every one of our children and their individual needs. Our classes are small so we can give everyone the attention they deserve.